Google continues their commitment to productivity and ease of use inside the Chrome and Chrome OS ecosystem with new features, partners and capabilities being added to their products at what seems to be an extremely accelerated pace as of late. The latest little tweak comes in the form of a more direct method to cast local files from Chrome to your Chromecast or Cast-enabled displays. While the function isn’t new, the manner in which you access local media will soon be a bit more simple. 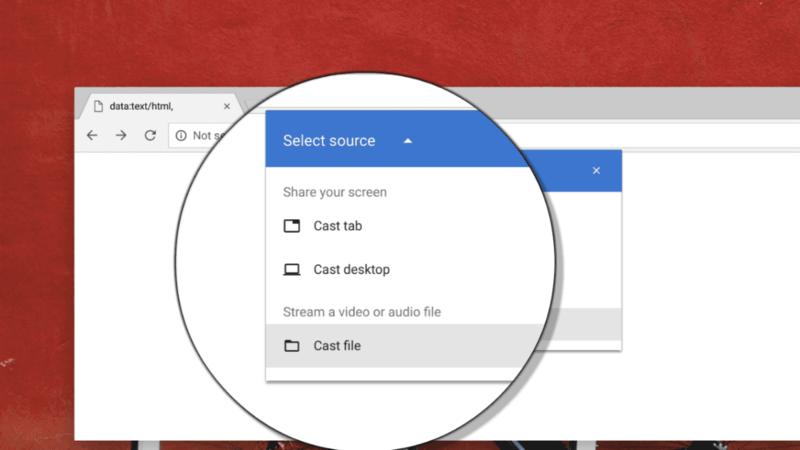 Now, instead of opening a local audio/video file in your browser and casting the tab, you can simply click the “cast” option in Chrome’s 3-dot menu and you will see an option to “cast file.” From there, you can pick your local media file from the file manager and select which device you’d like to cast to. The flag is currently only available through a series of developer commands through the crosh shell but it appears that some devices already have the function enabled by default in the Developer channel of Chrome OS. Specifically, the Google Pixelbook. I have attempted to find the feature on a number of other devices from Beta to Canary but had no success without using the crosh method to implement the flag. According to François Beaufort’s Google+ post, the feature is an “experiment” at the moment and being so means only certain users or devices may have access to it as developers test and work the bugs out. From a productivity standpoint, I can see how this could be a time-saver in a boardroom if you need to cast a file on the fly. It may be a minute detail but it still adds more polish to Chrome’s continual evolution as an enterprise-focused platform. As others have pointed out, this could also benefit those who may have a video collection that may or may not have been attained in the most ethical manners. Pirating video is still very much a thing and this would allow users to quickly cast their movies with just a couple of simple clicks. While I don’t agree with or condone pirating of any kind, it’s going to happen and the people doing it will most certainly use a Chromecast to watch said videos if they so choose. This feature will just make it a tad easier to do so. 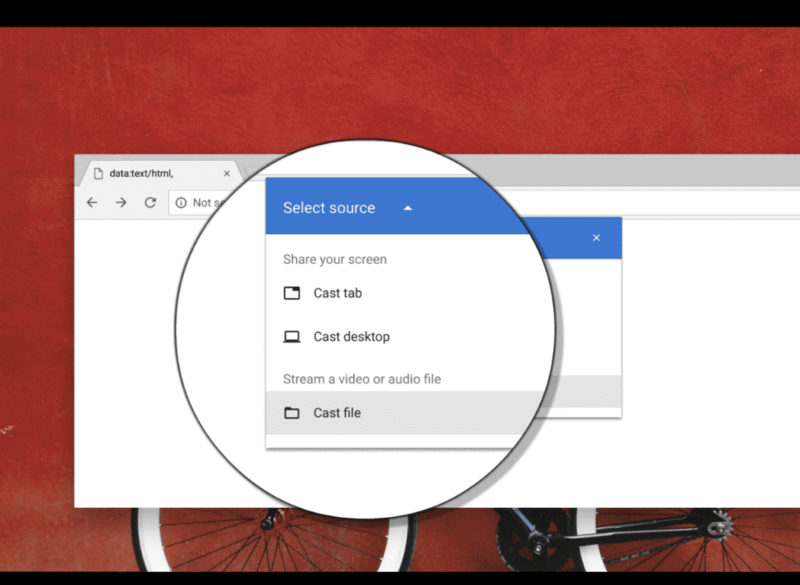 It is still not clear which file types will be supported but likely, if a Chromecast can play it, you’ll be able to cast it. I’ve tested on a mp.4 and .gif thus far and they both work flawlessly. Presumably, this should work with most common audio files as well. Keep an eye out for this feature in your Casting tab and drop a comment below if you see the option land in the Stable channel. We’ll keep digging as see when the feature is more widely available.